Plantioxidants Rejuvenating Cleanser and Exfoliating & Brightening Treatment. 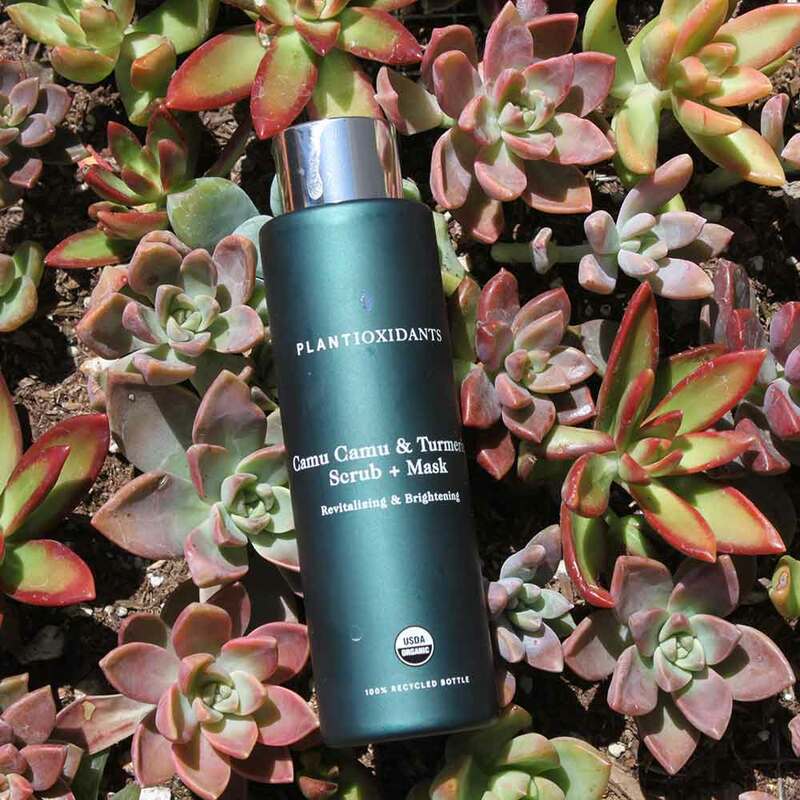 I was recently introduced to Plantioxidants, a USDA-certified organic skincare line specializing in clean, healthy products with an emphasis on environmental and social awareness. All of that sounds amazing, but what exactly does that mean? In a nutshell, it means that their products are vegan and free of toxins, while their packaging consists of 100-percent post-consumer recycled materials. Plantioxidants is committed to sustainable beauty. When I received my Plantioxidants Rejuvenating Cleanser and Exfoliating & Brightening Treatment in the mail, I was immediately struck by the fact that all of their packaging is 100-percent recycled and recyclable. The personal note was written on plantable seed paper, and the box it came in was biodegradable and printed with environmentally-friendly soy ink. Plantioxidants also has a mail-back program to recycle your packaging once the bottles are empty. Impressive, but what’s inside the packaging? Plantioxidants Yuzu and Sake Facial Cleanser. I may have a bias being half-Japanese, but in our household, yuzu is kind of a big deal. It’s a Japanese citrus and it tastes AMAZING mixed with chili peppers and salt over sushi. Who knew it was good for your skin? And sake, well. . . who doesn’t love good sake? The Rejuvenating Cleanser’s combination of fermented rice wine (sake) and citrus (yuzu) helps to gently exfoliate, while washing away makeup, dirt and grime from the skin. When it comes to skincare, I’m quite hesitant to try new products. I have SUPER sensitive, acne-prone skin. I’m so sensitive, that I’m allergic to the sun. Literally. Polymorphic light eruption syndrome is what I have. It’s no fun. That being said, I've been using this cleanser for several weeks and definitely noticed a softer complexion. No breakouts! Tara Palty tries Plantioxidants Rejuvenating Cleanser and Brightening Treatment. I will continue to use it as part of my everyday routine. Note: With all skincare products, it’s important to know your skin, and make sure you’re not allergic to any ingredients by doing a patch test. Plantioxidants Camu Camu and Turmeric Scrub + Mask. I've never been a fan of super rough exfoliating products that feel like you’re rubbing sand all over your skin. Fortunately, this isn't one of those products. Made with vitamin C, turmeric and ground acai berries, it’s just the right amount of exfoliant, without feeling like you’re tearing your face off. It can be used as a mask or as a scrub to gently slough off dead skin, leaving it smoother and brighter. Overall, if you’re interested in exploring organic skincare and care about the environment, this line is a no brainer. Taking care of your skin is important, but so is taking care of the environment and the world around us. If my cleanser and face scrub can help contribute to making the world a better, healthier and more sustainable place, sign me up! Plantioxidants Rejuvenating Cleanser: Yuzu & Sake and Brightening Treatment: Camu Camu & Turmeric Scrub. Plantioxidants products are available online and can be found at www.plantioxidants.com.